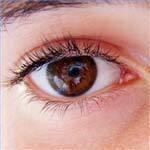 Dry eyes syndrome affects between 1 and 4 million Americans. When a person has dry eyes syndrome, their eyes do not make enough tears to keep the eyeball properly lubricated. 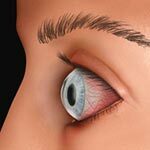 Keratitis sicca is a form of dry eyes. As people age, tear production often slows down. 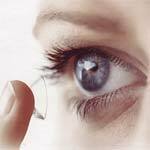 They may experience a burning sensation or the feeling that there is a foreign object in the eye. The eye may become bloodshot. Blepharitis, which is inflammation of the inside or outside of the eyelid, is a contributing factor in dry eyes syndrome. Sicca syndrome takes its name from Latin word “sicca”, meaning dryness. Sicca syndrome is described by uncomfortable burning, itching and gritty sensations present in the eyes affected by dry eyes syndrome. Dry eyes syndrome accompanied by dry lips and mouth are the classical Sjogren’s syndrome symptoms that are caused by patient’s own immune system attacking tear and saliva producing glands. Sicca syndrome signs can also be present after a person undergoing a face radiation therapy necessary as part of cancer treatment, which in some cases destroys or impairs function of tear and salivary glands.